The Vess 2600tiS Pro 32TB 16-Bay Single-Controller NAS from PROMISE Technology is a network attached storage solution featuring a 3RU form factor complete with 16 drive bays. Configure the included hard drives into a variety of RAID configurations, including RAID 0, 1, 1E, 5, 6, 10 (0+1), 50, and 60, to maximize your data management capabilities. 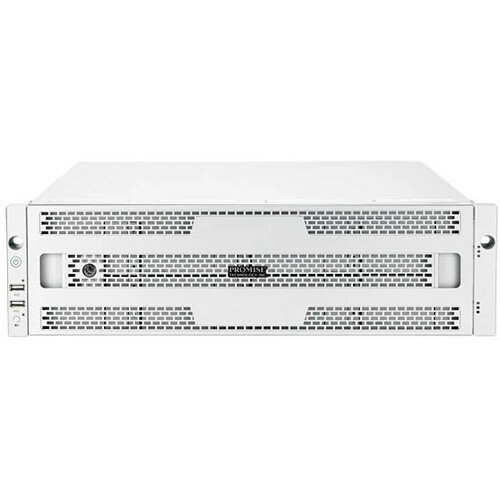 This unit also features three redundant power supplies, the ability to hot-swap your drives, Predictive Data Migration, PerfectRebuild, and battery flash backup. Number of Bays 16 x 3.5"